Our team of expert agronomists, certified crop advisers, precision ag specialists and custom applicators bring expert solutions to our customers, delivering the best products and services through a network of locations throughout Ohio. Leveraging the technology of our strategic partners, we offer the latest in seed genetics, and through our facilities, we provide the proper seed treatment options, crop inputs and custom applications to keep you moving forward. Our Sunrise Precision Solutions (SPS) team offers our customers access to the latest technologies and equipment to enhance their profitability. SPS includes several components, such as grid sampling and yield maps. It also includes the R7® Tool by WinField United with satellite imagery and variable-rate planting prescriptions. Sunrise is also an Ag Leader and Precision Planting dealership with dedicated staff to answer all your questions. We know you have important decisions to make when it comes to choosing the inputs for your crops. Reaching your farm’s maximum potential requires specialized seed choices in order to meet the ever-changing needs of the agricultural industry. That’s why here at Sunrise Cooperative, we do our best to make decisions less complex so you can be confident in your selection. Each one of our seed recommendations is performance tested through WinField’s Answer Plot® data. In addition, we enhance this research with more than 80 test plots throughout our trade territory under a range of tillage practices, populations and nutrient applications to give you the best guidance for your fields. We are proud to have seed products available for the needs of any soil type, seeding prescription, or farming technique. As a part of our commitment to your success, we have aligned ourselves with key strategic partners to supply our customers with the industry-leading seed varieties. Our goal is to provide top-quality seed treatment products which includes: Warden® CX, Warden® RTA®, Acceleron® and ILeVO®. Synonymous with quality, the Warden® brand has been an industry-leading seed treatment technology since 2004. Create a full systems approach that feeds and protects your crops throughout the season with PCT | Sunrise®. Grow yield potential with our specially formulated starters, foliars and finishers. Add micronutrients and biologicals to improve plant health, and utilize adjuvants to enhance your crop protection strategies. No matter the agronomic challenge, we offer solutions thanks to our team of experts who have local grow how to help you maximize yield potential across a variety of crops. Sunrise agronomy solutions advisors, work with PCT | Sunrise agronomists, to offer growers individualized plans and guidance on how to enhance plant development. Managing a high-yielding crop isn’t done at one specific development stage, but rather through a process of continual management. 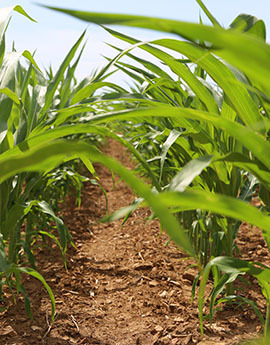 Promote early plant health, stand and emergence with customized crop nutrition blends for corn and soybeans. Correct nutrient deficiencies and help build plants with our PCT mid-season solutions. PCT finishers help maximize late-season grain development for higher yields. PCT adjuvant solutions improve the distribution and absorption of spray mixtures. PCT biologicals and biostimulants promote soil and plant health throughout the growing season. PCT micronutrients provide for more balanced nutrition and correct plant deficiencies. PCT | Sunrise® is a progressive crop technology company that combines innovative crop nutrition with local agronomic expertise. PCT products are specially formulated and manufactured at our Kettlersville, Ohio facility with the goal of optimizing plant health and providing a strong return on investment for your farm.